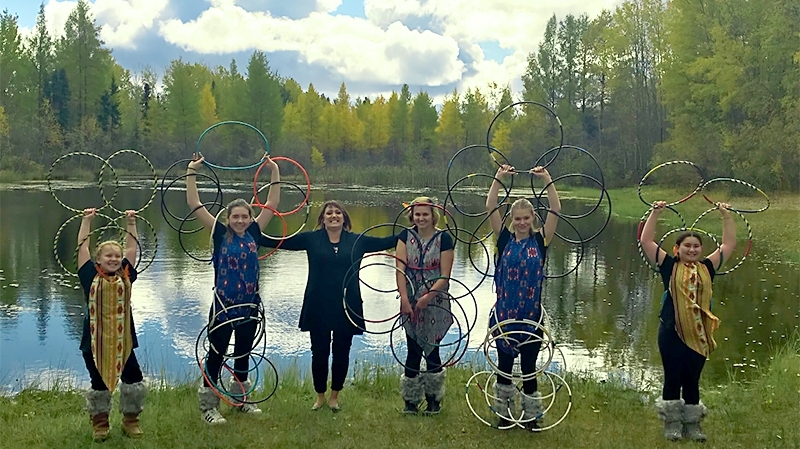 The fifth year of the Cameco Creative Kids Northern Cultural Fund (CCKNCF) started on January 28th, with a new round of funding available to Northern Saskatchewan communities looking to deliver cultural programming for children and youth ages 4 to 19. A partnership between Cameco, Creative Kids and Sask Culture, the CCKNCF program has provided grants to 25 different projects through cultural groups, schools, and First Nations to deliver unique, culturally engaging, creative, and artistic programming to children and youth, with an emphasis on creating creative cultural sustainability in those communities. One of those grants was provided to the Nemihitowok Houp Dance Troupe, based out of Creighton. President and teacher, Kelleen Blouin explains that growing up Métis, she didn’t embrace her heritage. As a girl she attended her family’s fishing camp and it was there her grandmother instilled and celebrated her love for her Métis culture. This feeling that Blouin developed ceased until the next summer when she would visit the camp again. Along with her grandmother, who is a proud Indigenous woman, and along with her children, Blouin says she was called to the drum. Her daughter Tenille has also embraced her heritage and also teaches hoop dancing. Blouin taught groups of 13 youth the dance. She started with teaching the story of the hoop dance, which included its history and how it was brought to Canada. She also uses puppets so the kids can have a visual learning experience. Teachings are done on the hoop/animal formation and the young dancers are taught what each dance formation is about and why they’re performing it. Blouin goes on to say that this understanding is changing for the better one child at a time. Kids are approaching her to say how excited and happy they are to learn about hoop dancing and they are also proud to be Métis. For more information regarding the Cameco Creative Kids Northern Cultural Fund, visit www.creativekidssask.ca.